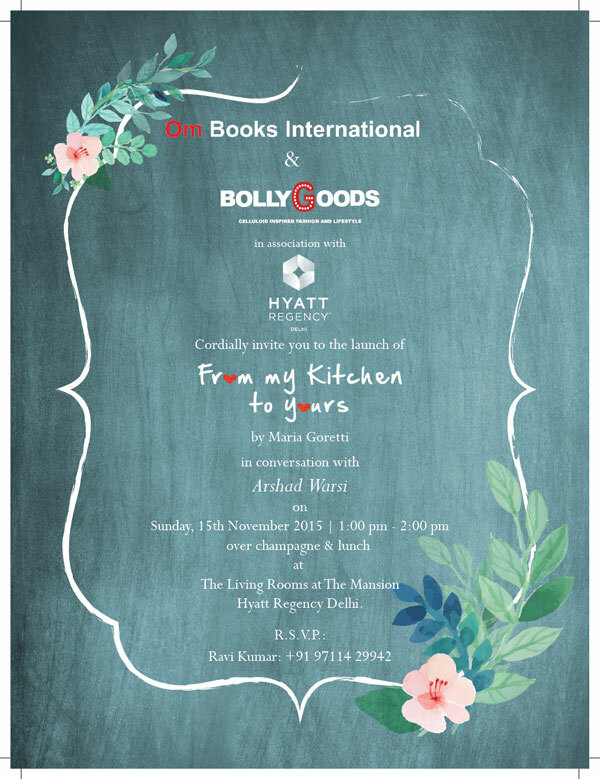 New Delhi, November 15, 2015: BollyGoods, a one-of-its-kind platform that promotes celebrity lifestyle and their inherited aesthetics, is all geared up this season to give you a peek into the world of the celluloid born. 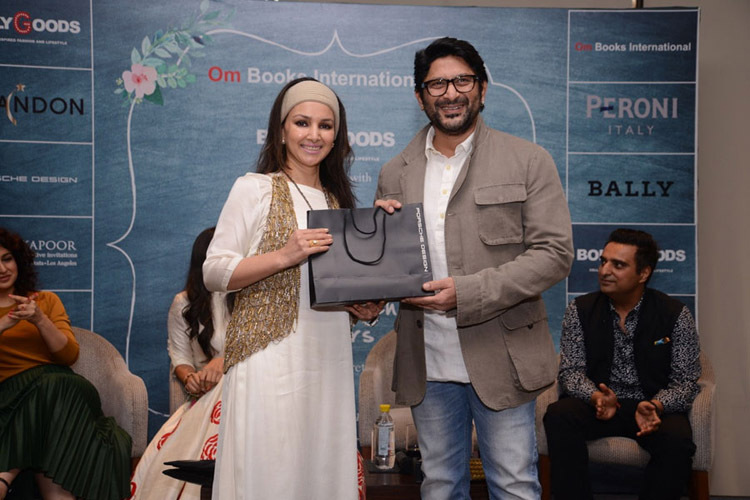 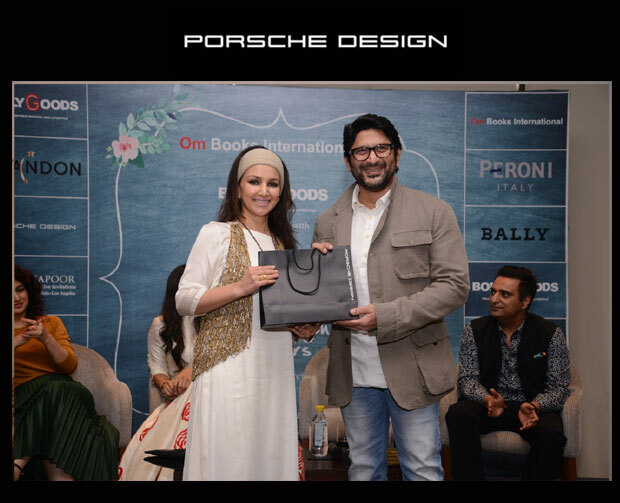 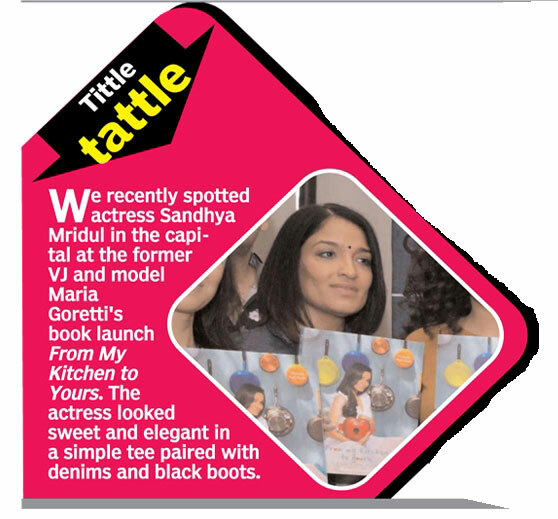 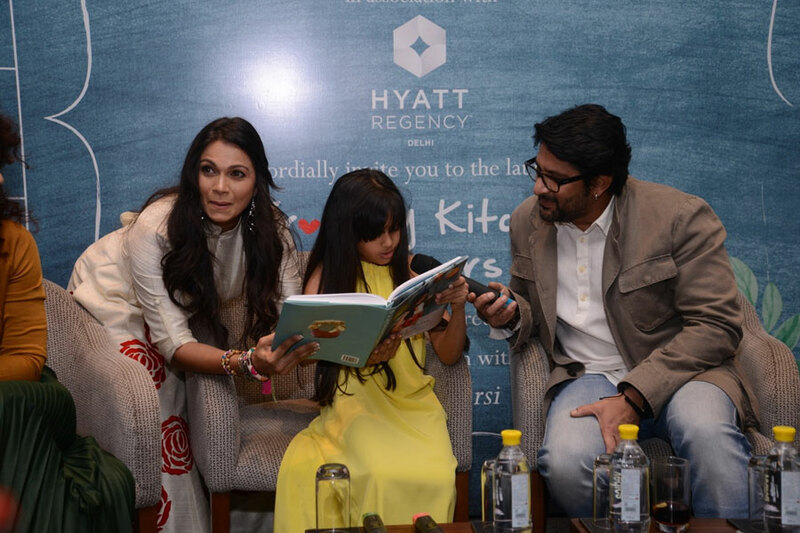 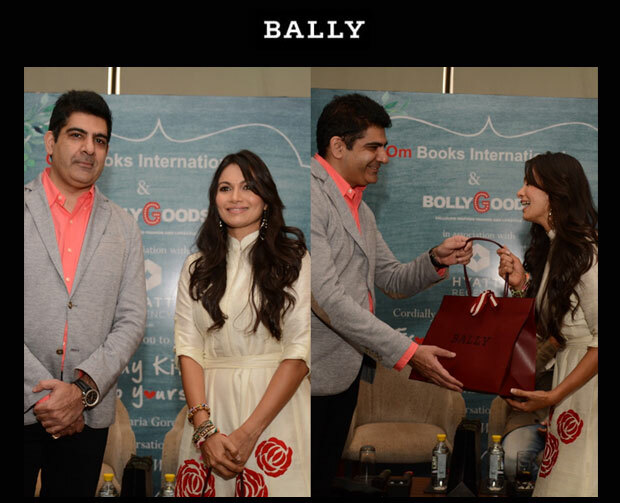 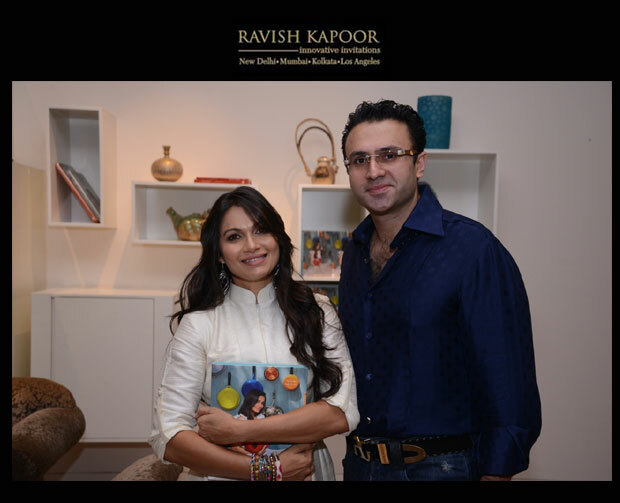 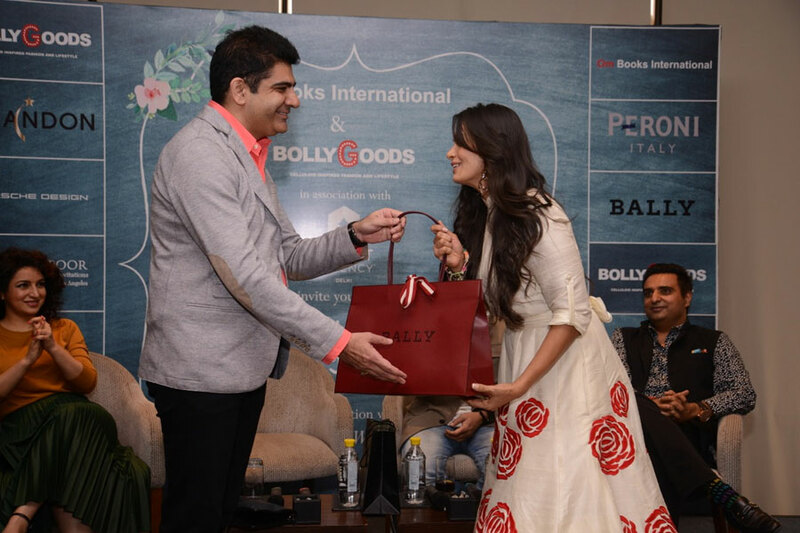 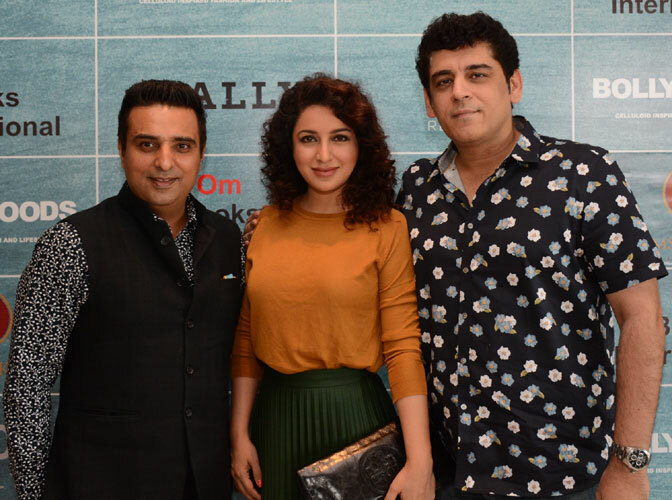 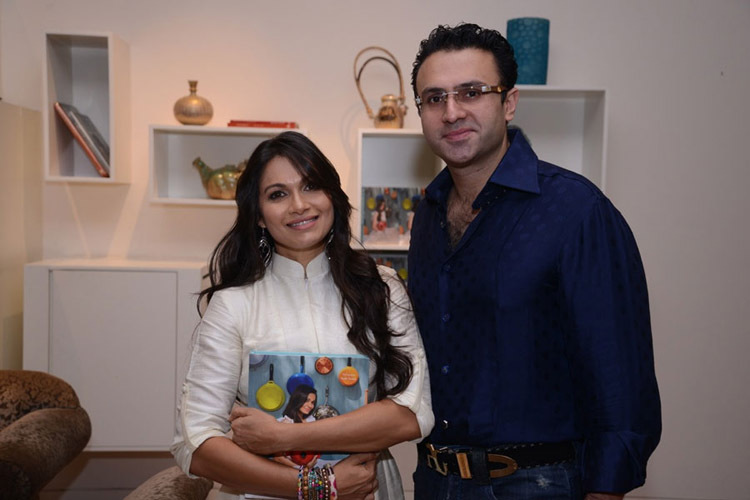 On November 15th, BollyGoods with Om Books International presented to the capital popular VJ and actress Maria Goretti’s book ‘From My Kitchen To Yours’ at The Living Rooms at The Mansion, Hyatt Regency Delhi. 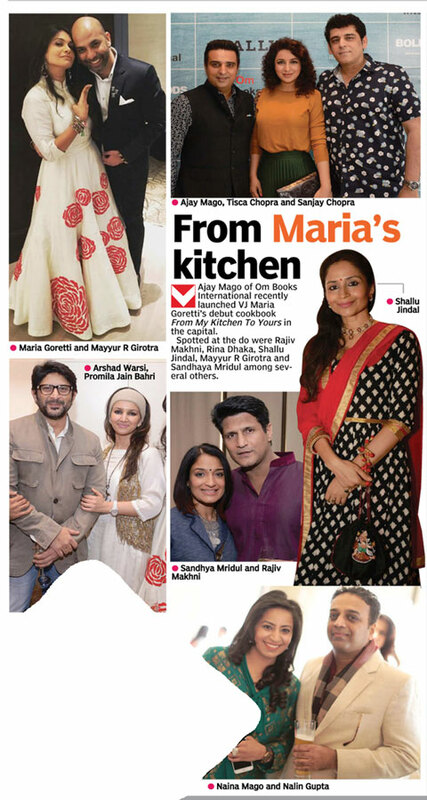 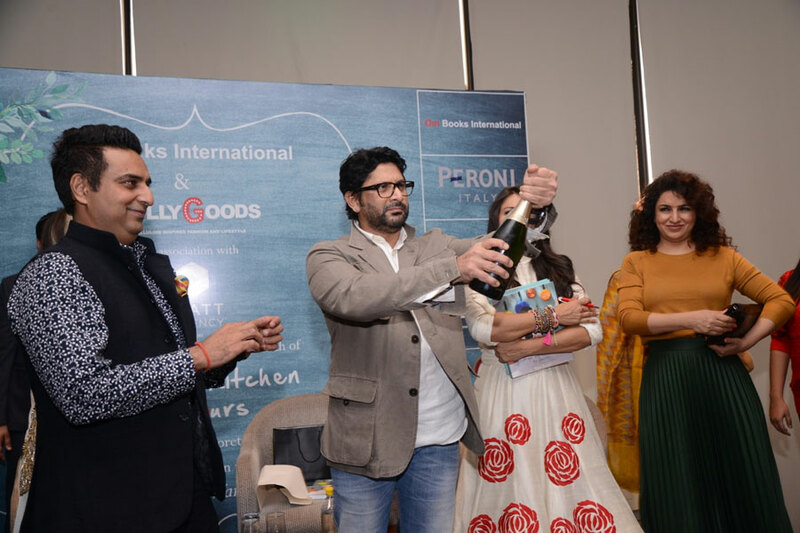 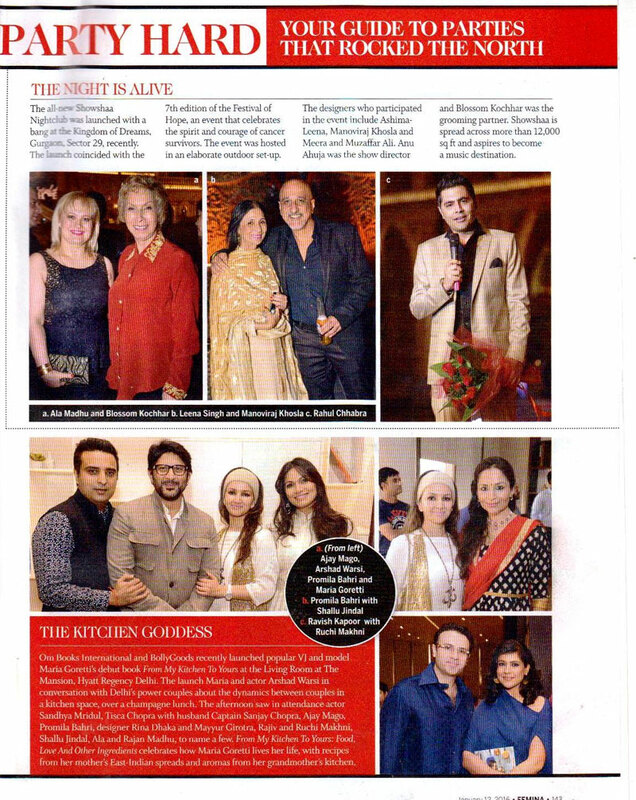 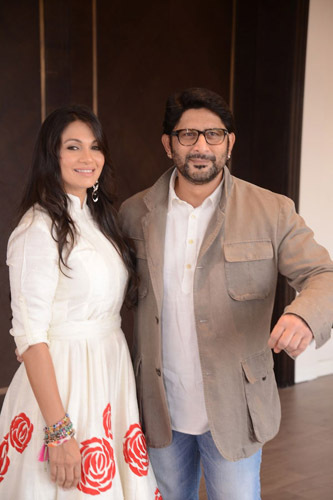 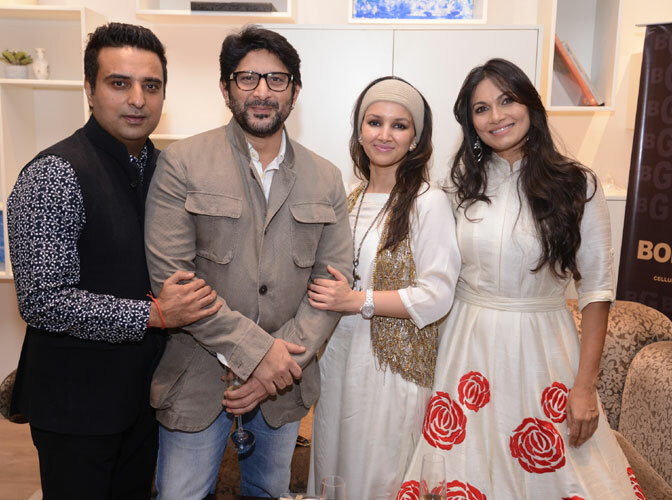 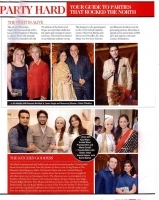 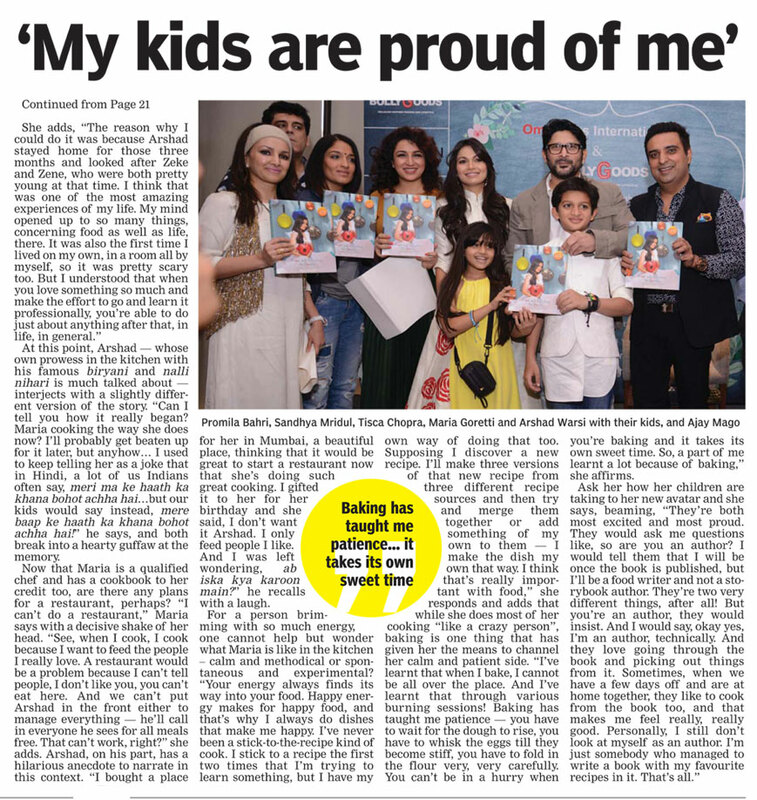 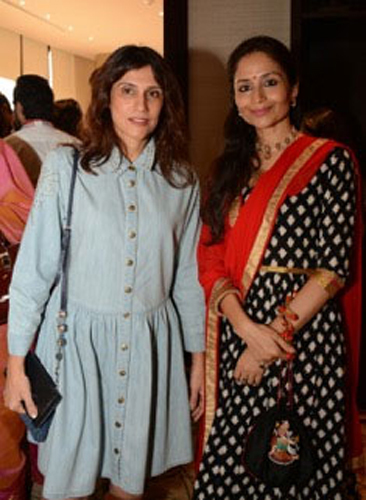 The launch event saw Maria Goretti and actor Arshad Warsi in conversation with Delhi’s fifty power couples about dynamics between couples in a kitchen space, over a champagne lunch. 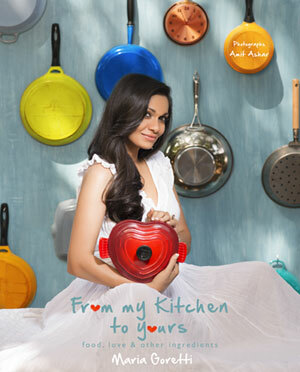 From My Kitchen To Yours: Food, Love And Other Ingredients celebrates how Maria Gorettiz lives her life, with memorable recipes from her mother’s East-Indian spreads, aromas from her grandmother’s kitchen, and the food that she has seen, touched and tasted over her many travels across India, and the world, as a VJ with MTV. 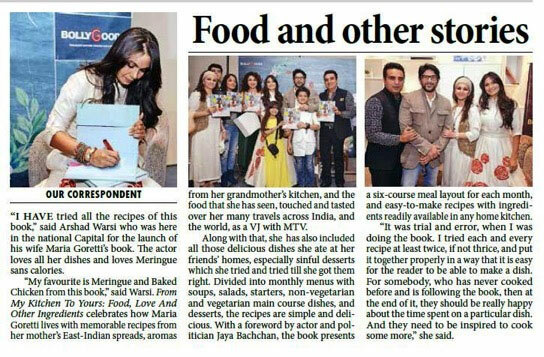 Add to that, all those delicious dishes she has eaten at her friends’ homes, especially those sinful desserts that she loved, which she tried and tried till she got them right. 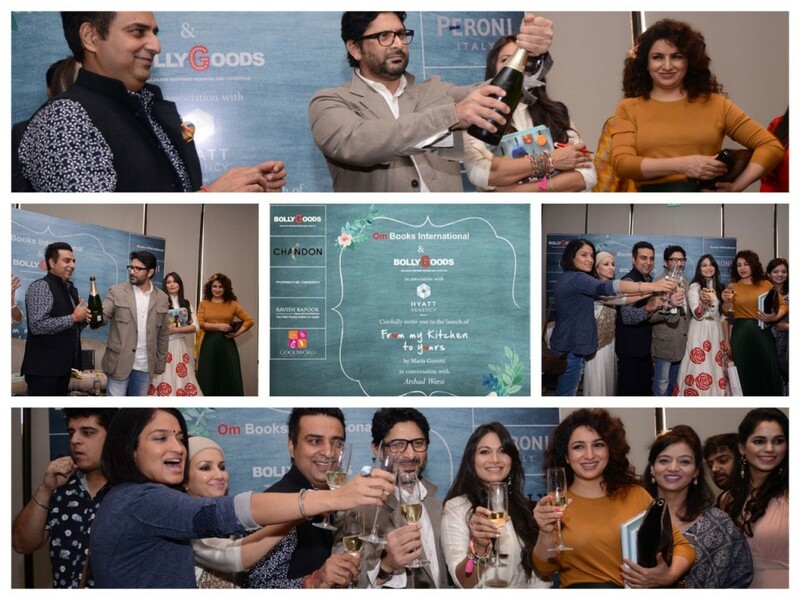 Divided into monthly menus with soups, salads, starters, non-vegetarian and vegetarian main course dishes, and desserts, the recipes are simple and delicious. 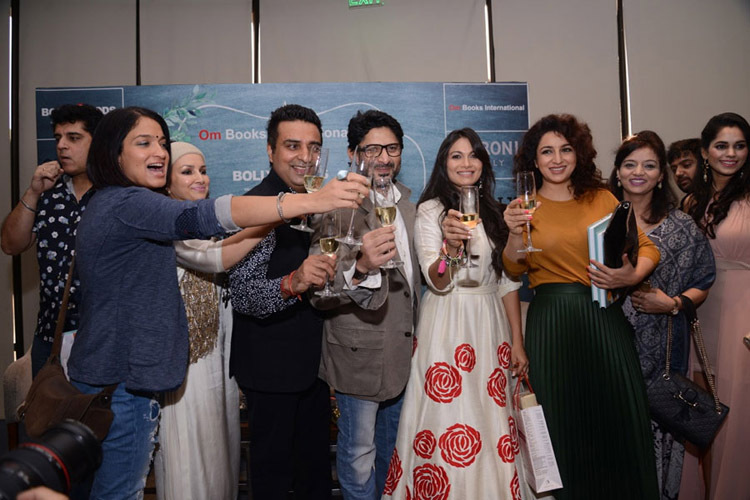 With a foreword by actress and politician Jaya Bachchan, the book presents a six-course meal layout for each month, and easy-to-make recipes with ingredients readily available in any home kitchen. 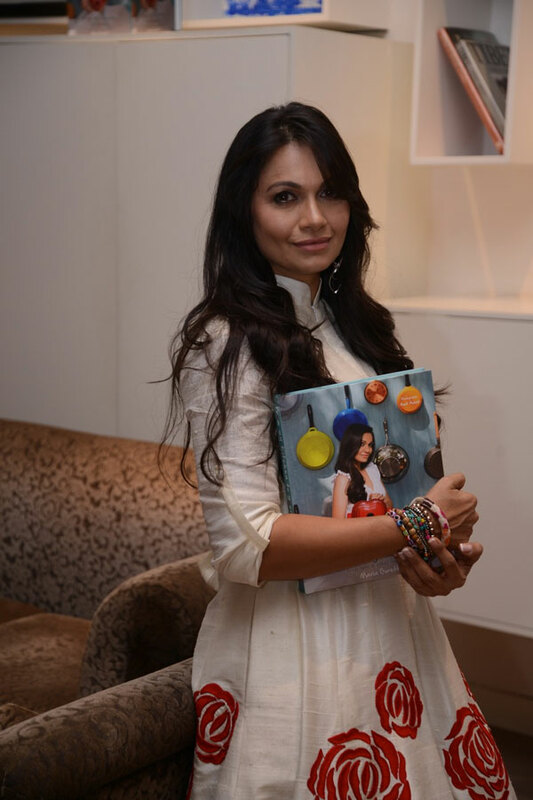 It contains an array of both vegetarian and non-vegetarian recipes. 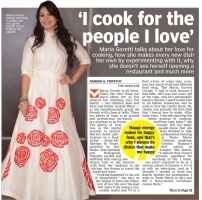 Maria Goretti is an Economics graduate, who studied Fashion Design. 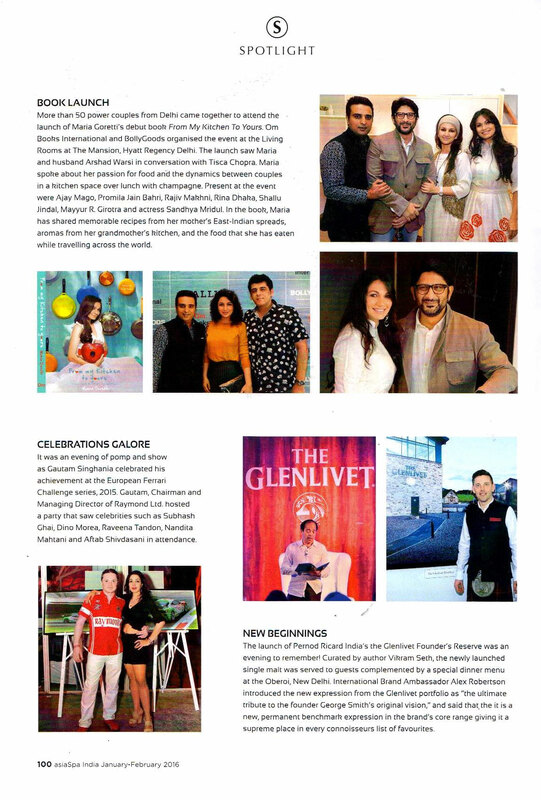 She worked as a dancer and, because of her talent, was snapped up for a number of advertisements. She has modeled for Coca-Cola, Liril, Close up and Volkswagen Beetle, to name a few. 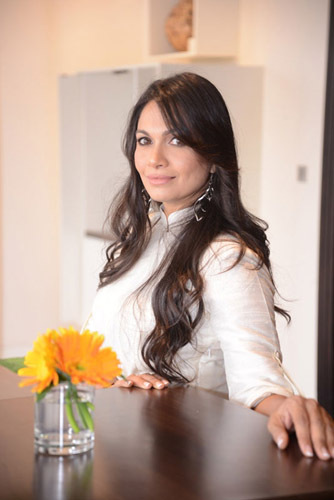 She spent five and a half years as a VJ for MTV, interviewing and touring with musicians from around the world, including Bryan Adams, Enrique Iglesias, UB40, Abba, Ricky Martin, Ronan Keating, Peter Andre and Pentagram. 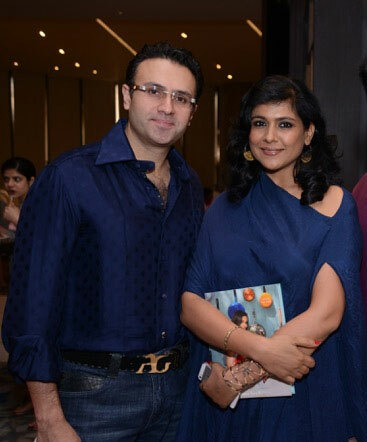 She hosted the 2000 MTV Video Music Awards for India from the Radio City Music Hall in New York. 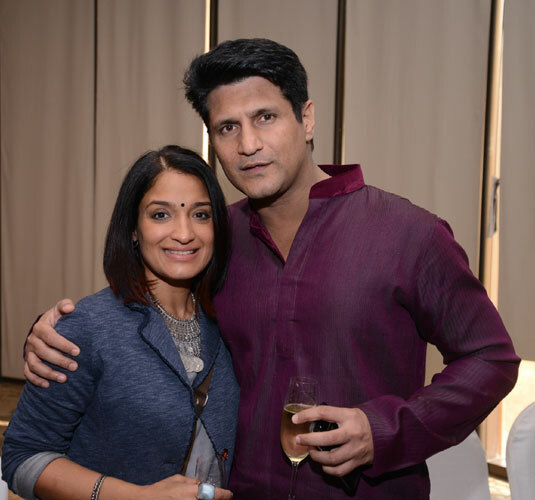 Maria was an anchor and a roaming presenter for the ICC Champions Trophy in Sri Lanka in 2002 and the 2003 Cricket World Cup in South Africa. 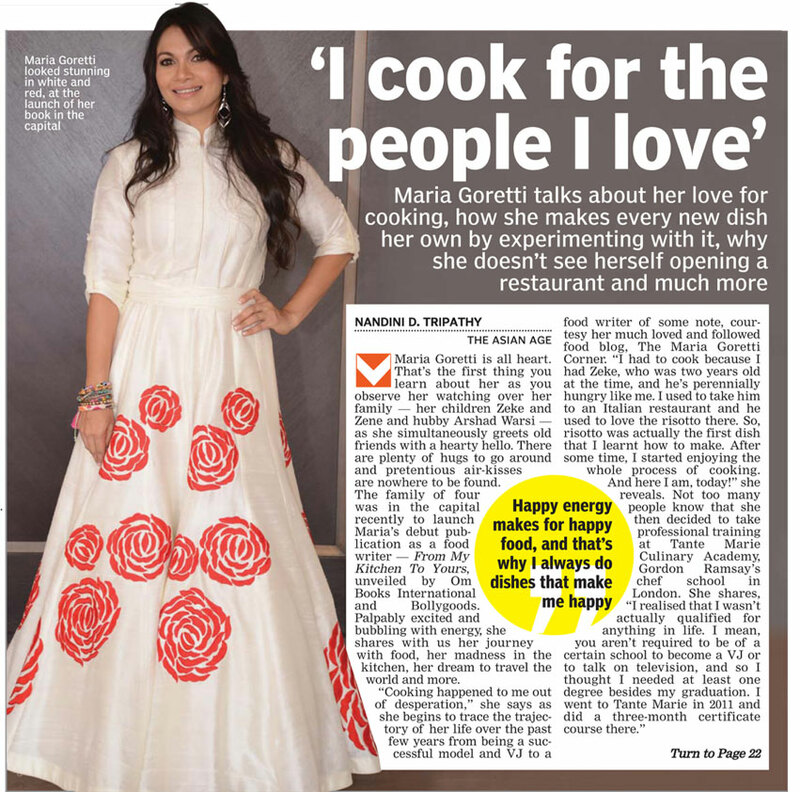 After making many disastrous dinners for friends who were willing guinea pigs, Maria realized that mastering food was her true calling. 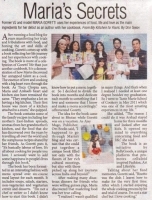 In 2011, Maria cleared, with distinction, the Cordon Bleu certificate course in food and baking at the Tante Marie School of Cookery, UK, run by Gordon Ramsay. 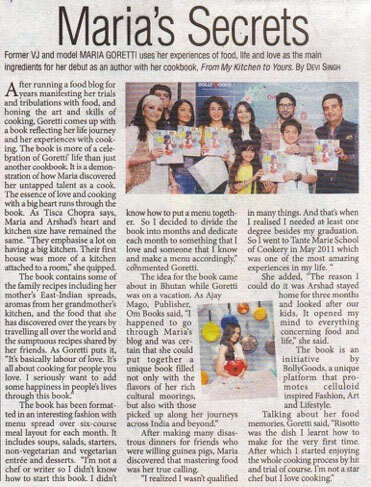 She writes a food blog that has recipes, slice-of-life stories and poetry.